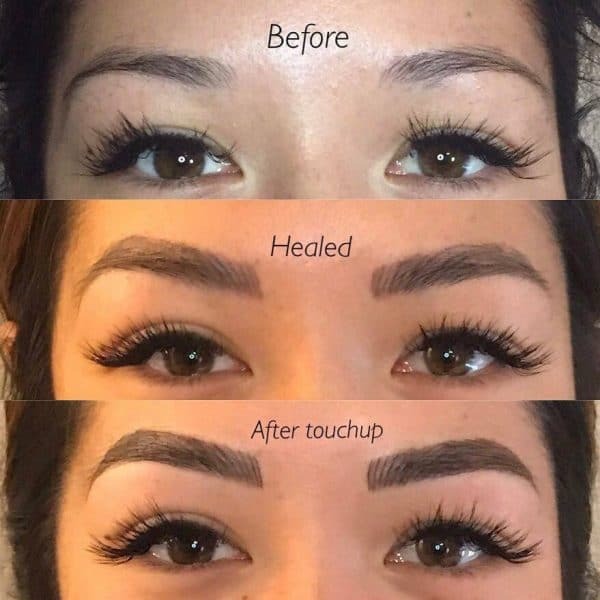 Are you ready to get your brows microbladed? 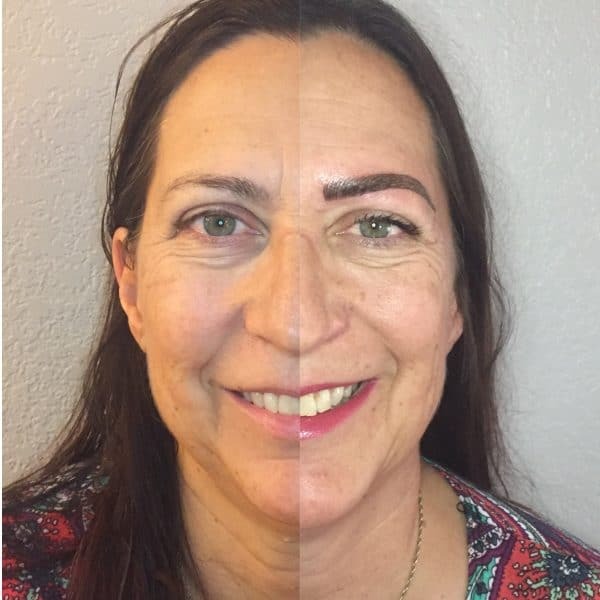 ​I'm Katrina and I want to help you get perfect eyebrows so you don't have to spend precious time every morning on make up. As a mother of 2 young (and did I mention crazy?) girls, I know jus​t how precious your time is. I also know just how important it is to feel beautiful each and every day. It can seriously be the difference between getting out of bed and getting EVERYTHING done or, well... the exact opposite. If you are interested in getting your eyebrows microbladed and your questions aren't answered in this section then please feel free to reach out to me at anytime. Consulting with me is easy. My mini spa is located inside my home located in Mesa, Arizona. During your initial consultation (plan to spend about 2 hours) we will go over EXACTLY what you are looking for. 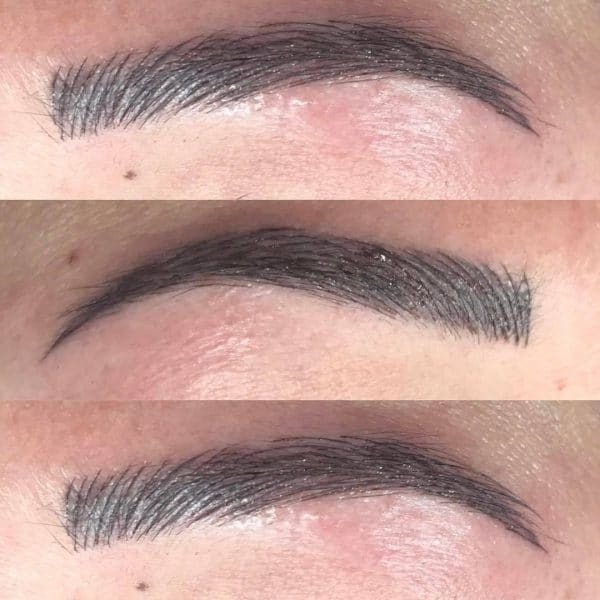 Most girls bring pictures (or have a pretty good idea of what they want their brows to look like) for their initial appointment and I encourage it. Before we start I will spend some time talking to you to get a better idea of what you are looking for. Once I have a good idea I will then spend some time drawing an outline on your face so that you can see exactly what to expect. 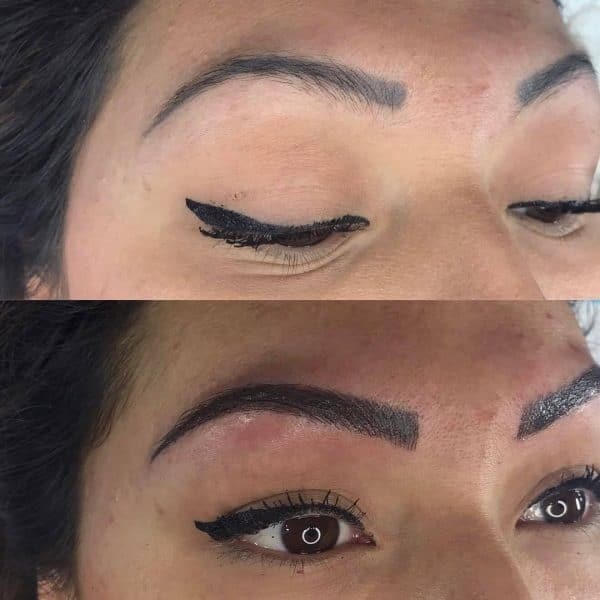 I will make sure that your eyebrows are anatomically in alignment, that they match the shape and structure of your face to ensure that the end product will look beautiful. The art and skill of microblading is in the all the fine details, making sure that each part fits perfectly for your body type, facial structure and complexion - and this is the part I LOVE, and why I feel I'm so good at what I do. Once you see and like the outline I have created only then will I start to place the pigment in the dermal layers of the skin. Don't let this freak you out. 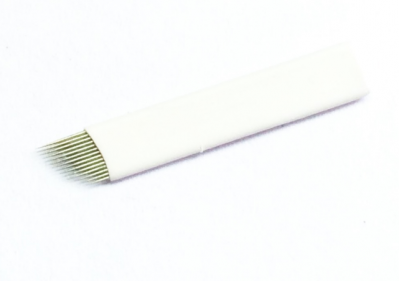 The blade is a surgical instrument that is very fine and very precise, allowing for laser like pigment detailing on the face. It doesn't hurt (with the numbing cream) and the blade does not penetrate deeply into the skin. Now compare that to microblading which goes to the epidermis/dermal junction. Not deep enough to cause permanent tattooing but deep enough to keep the pigment lasting for up to 2 years. ​The total time spent on this process (the first visit) is about 2 hours. Because I don't rush and I want your brows to look amazing. Once I've applied the pigment and you are satisfied with the results (I know you will be). 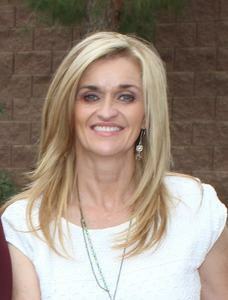 I will take a before/after picture and you will be on your way with amazing and beautiful, make-up ready eyebrows. We will then follow up in 4-6 weeks for the second application and touch up of the pigment (remember this is included in the price)​ to make sure your eyebrows stay looking amazing for months to come. The cost for the ENTIRE procedure is currently $450. This includes the 2-3 hour initial visit and your follow up visit in 6 weeks which lasts around 60-90 minutes. ​Yearly touch up visits are $200. Remember that your results will last up to 15 months, so you only need the yearly touch up when necessary. As long as you follow all of the instructions you will have long lasting results! I am usually booked out about 4-6 weeks so if you are interested in getting started please text me ASAP so we can get your spot locked in. Are you ready to take the next step and get started?